Dinged by MBB Consulting Firms – Now What? If you’re new to consulting, it won’t take you long to discover that MBB firms are insanely competitive. There are only so many positions they can fill every cycle. There is no shame in trying and coming up a little bit short, and pivoting to 2nd tier consulting firms. But what do you do next if you underprepared, or just had bad luck, and received the dreaded rejection from (horror of horrors) the complete MBB tier? Whether you’re at the Undergrad internship, Pre-MBA, MBA internship, or Post-MBA level, hope is not lost. You will be fine, and you have a bright future ahead of you. But if you want to give it another go, read on to see what your best options are to position yourself for another run at an MBB firm, or pivot to 2nd tier consulting firms. If you are an undergrad who has been turned down for a summer internship at MBB, going in to finance is your next best bet. Consulting firms want to see that you’ve been “professionalized,” and also that you’re able to handle a high-pressure, fast-paced, business environment with long work hours. In addition, having a finance internship under your belt shows that you’ve got the necessary quant skills to succeed in consulting. If finance doesn’t really excite you (and let’s face it, we don’t blame you), landing an internship at a brand-name company should be next on your list. Interning for a company such as GE, Anheuser-Busch, P&G, Target, Google or Facebook shows that you have been vetted by a Fortune 500 company and made the cut, landing a competitive position. You will also get great, hands-on business experience that will grow you and can help you land an MBB position down the road. These firms offer great learning experiences that help you build great hero stories for future fit interviews. The last of your options at this stage of the game should be an internship at a boutique firm – think APT, Parthenon, Monitor, Deloitte, L.E.K., Oliver Wyman, OC&C, Roland Berger, or AT Kearney. Although these, and other no-name firms, are great for sophomore internships, at your junior junction they may be even worse. MBB firms would rather see finance or brand-name experience from you instead of experience at a firm which they consider inferior- a 2nd tier consulting firm. What they are thinking is that they will just have to un-teach you what you learned and then teach you the “McKinsey Way” – or more generally, the way things are done at their firm. For those of you who are planning Plan B before your interviews, just note this one major word of caution: Internship interviews are NOT a trial run. If you interview and fail first rounds, don’t expect to re-interview during full-time recruiting. If you are a Pre-MBA who has been turned down by an MBB firm, we can assure you that your world isn’t ending! Disappointment is natural, but don’t dwell in the darkness too long; you need to get moving. Your first thought should be to apply for a position at a high-profile, brand-name company. For example, working for 1-3 years in business development or corporate strategy at Coca-Cola will give you great experience and make you an attractive candidate to MBB firms. Your next option should be to land a position in a boutique consulting firm. After all, there is no substitute for actual consulting experience, especially when it comes to dealing with clients and using consulting tools. Keep in mind, however, that certain firms – especially those with a technology focus – such as Capgemini, Accenture and Tata Consulting Group specialize in certain kinds of consulting and can tarnish your brand when you are trying to move up to the strategy level. If neither of the above pan out or interest you, aim to work at a high-profile non-profit, such as Teach for America, the Peace Corps, the World Bank or the IMF. Again, these are highly competitive places to work where landing a position shows you successfully navigated a tough interview process, and where you will be pushed in your growth and understanding of business and the world. In fact, Teach for America is considered a “target school” for MBB – so you get to go through active recruiting at top firms. Even at the MBA level, being turned down for an MBB internship is not the be-all, end-all of your consulting career. Again, we recommend you go the brand-name company route if MBB is off the table for you. This will show that you know what you are worth, and would not settle for an offer from a 2nd tier firm. However, if Option A is not available, going to a boutique firm is acceptable. You will just have to market it as practical experience, instead of the fact that you settled for the position. Again, keep in mind that certain firms such as Accenture (even its strategy practice) or PwC Advisory specialize in certain kinds of consulting and can tarnish your brand when you are trying to move up to the strategy level during second year recruiting. Again, finance should be your last option, for the same reasons it is for the Pre-MBA level – but here, even more importantly so. 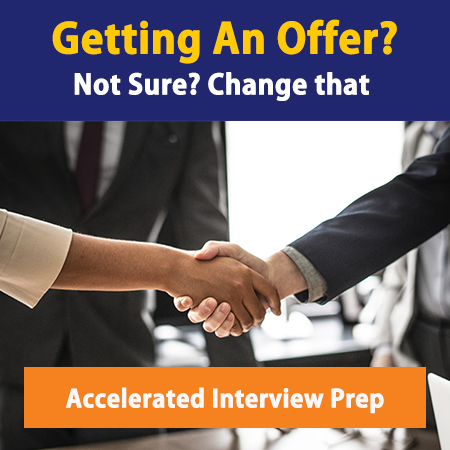 You are not considered upskilled, but rather wishy-washy – and open yourself up to lots of hard questions in later recruiting cycles. A rejection from MBB is probably the hardest to stomach at the Post-MBA level. After all, you have legitimate work experience and have completed your MBA with flying colors. But fear not! There is always a way to that consulting job of your dreams – we work with candidates at every level, and over 7 years we have helped MANY post-MBAs transition over. If you find yourself here, we recommend landing a position at a boutique firm to start to build up your consulting portfolio and experience. The key here is to show that you have practical consulting experience – managing projects and managing people in consulting is actually quite different than in industry. Even at a 2nd tier consulting firm. At another consulting firm, try to work in as many different practice areas in as many different sectors and industries as possible to gain a well-rounded toolkit. Your key transition time will be at the manager level (when MBB firms face a lot of brain drain), so get there as quickly as possible (ideally 2-3 years). If that does not appeal or does not work out, we recommend going to a brand-name company. You are smart, capable and hard-working; so go find a Fortune 500 company and move up the ladder quickly. You will build great connections and actual projects to be able to point to in order to show your value to a McKinsey, Bain or BCG down the line. 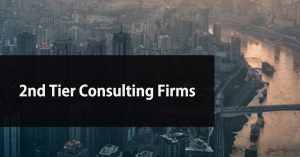 If you want to maximize your chances of entering consulting later, and are ambivalent to industry or firm, pick one that’s hot – working in healthcare/life sciences, FinTech, or CPG are always good bets and supply chain work is the most complicated (and therefore most consulting-friendly) of all practice areas. Last again on our list of recommendations for you is Finance. At the Post-MBA level, you are expected to have chosen between finance and consulting. A foray in to finance at this stage doesn’t portray skill-building on your part: it only creates confusion on your resume. Your skill set also really diverges as your peers in consulting move into team and client management, and you remain analytical and deal-oriented. We have heard stories of candidates successfully moving from their entrepreneurial endeavors to an MBB firm, but to be honest these are few and far between. While candidates generally think that being an entrepreneur naturally implies that they are savvy, enterprising, confident and not risk-averse, the problem is that MBB firms generally have no way of quantifying your experience. Does your entrepreneurial experience mean you sat at home in your pajamas all day working on your computer? Or does it mean you were meeting potential clients and pitching your product to them in professional settings and presentations? The title “entrepreneur” can mean many different things, and thus can hurt you more than help you when it comes time for recruiting, especially if you have another weak area on your resume already. Firms have no way of knowing whether you have been “corporatized,” or if you even have experience they would consider relevant. Consultants are risk-averse by nature, and so will discard your resume before they give you a chance to prove yourself. If you launched your own start-up and sold it, by all means highlight this on your resume! Otherwise, we recommend not even including your start-up work on the work-experience section of your resume. Because you are learning more than earning, we consider it a learning experience, and so do the MBB consulting firms. If you’ve been dinged by an MBB firm, it’s not the end of the road for you! Take the above steps to reposition yourself for a second run at MBB firms, or certainly for 2nd tier consulting firms. We hope these tips give you some concrete next steps you can take to position yourself for that dream MBB offer. Feel free to contact us if you want to schedule a Power Half Hour to discuss your specific, tailored options.